The Arizona Golf Association, a non-profit organization, assists in the development and promotion of the game of golf for all who want to play. Founded in 1923, the organization has grown from a small group of golfers who ran the annual Amateur Championship to an association consisting over 400 clubs and 65,000 members. The Phoenix Open holds the best non-major tournament attendance in the world, topping 500,000 people six times in the 77 years of playing. 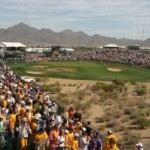 With TPC Scottsdale’s pristine location, just on the outskirts of greater Phoenix, and Arizona’s perfect winter weather, the desert tournament is able to accommodate large, diverse crowds despite Super Bowl Sunday, which always falls on the last day of the tournament. The Rees Jones design; 828-acre community, is a perfectly executed course nestled in the serene foothills of Peoria, Arizona. The course is known for its elevation changes as it navigates between desert terrain and the Hieroglyphic Mountains. McDowell Mountain Golf Club, located in the heart of Scottsdale, Arizona, recently opened its renovated course in October. The course, prior known as The Sanctuary Golf Club, was purchased for $2.2 million by PGA Professional Phil Mickelson and his agent Steve Loy in efforts to increase golf play in the Scottsdale area. 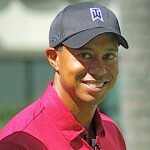 Its finally out the official 2011 Arizona Golf overseed schedule. 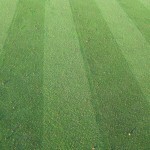 Listed below is the full overseed schedule of all golf courses in the Phoenix-Scottsdale area. Gold Canyon Resort offers the perfect escape for a weekend staycation or for visitors from out of state. Gold Canyon’s location is remote and removed from the hustle-bustle of the big city of Phoenix and offers a serene and soothing option for those looking to get away. 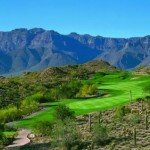 Golfing Tucson provides the latest deals on golf packages to Tucson along with a free service to book discount tee times up until 60 days in advance. 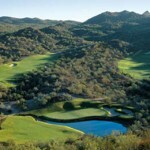 Reserve some of the best golf courses in the entire state including top facilities like Ritz Carlton Dove Mountain, Ventana Canyon, Omni Tucson National and many more.